Psychopaths are people who have a personality disorder that is difficult to spot because they’re skillful in handling their manipulations. While they may appear loving and thoughtful the first time you meet them, underneath they lack conscience and empathy. If you’re too trusting, they can manipulate you without your awareness. Until one day, you’ll just be surprised when the person you thought was your ideal prince charming suddenly became an entirely different breed of human being. He’s become a control freak, full of lies, and totally volatile. If you notice you keep falling for this same type of person, it may be that you have traits that make these people get attracted to you. Read on if you have what it takes to magnetize a psychopath and do your best to improve yourself so that you’ll avoid them in your future relationships. 1. You thrive in a codependent relationship. According to experts, a codependent relationship is a pattern of behavior in which you find yourself dependent on approval from someone else for your self-worth and identity. You tend to make extreme sacrifices to satisfy your partner’s needs. Because of this, it’s easier for psychopaths to take advantage of you and use you. As a codependent woman, you are a caregiver who finds delight in taking care of the people who need you because it gives you a feeling of importance and being needed. However, this is the main trait that is extra susceptible to gaslighting by psychopaths. Research suggests that people who are prone to enter into a codependent relationship are those who have parents who emotionally abused or neglected them in their teens. While breaking up with your psychopath partner is one way of gaining back your autonomy over your life, setting boundaries and finding your own individual happiness are the best steps you need to take so as to avoid falling prey for people who have psychopathic tendencies. 2. You are highly sensitive or empathic. Highly sensitive people have the ability to feel the suffering of others. If you’re one of them, it might be easier for you to offer others your sympathy and care. People, especially psychopaths, find comfort in your sensitivity and helping nature. Since you don’t give up easily on people no matter how they’ve hurt you, psychopaths will stick around and persuade you into helping or saving them out of their disturbing behavior. This will then become a pattern, which can deepen the bond you have with a psychopath, and for which they take advantage of. 3. You have the best father. Growing up with a wonderful father provides you an initial idea that men out there are awesome and can be trusted. Because your dad treats you like a princess, you easily trust anyone who starts to treat you the same. Even if concerned people around you will warn you of the psychopath’s tendencies, you keep ignoring them, believing they’re wrong in their opinions. You still hold on for the best though you’ve been sensing things are getting quite unlikely. It would then be too late when you realize that villains can exist in real life too. 4. You are a shy type of person. Shyness is often associated with a lack of self-confidence or self-esteem. If you have this issue, psychopaths would gravitate towards you because they know they can use your vulnerability against you. You don’t have the necessary grit to stand against their emotional oppression. Psychopaths know that they’re safe with an emotionally weak partner who can hardly speak about their traumas and painful experiences. 5. You’re older than your psychopath partner and are financially stable. Taking advantage of people emotionally, physically or even financially is the psychopath’s thing. Thus, if you’re hardworking and have acquired assets, they’re likely to desire you. Women in their 30’s and beyond are attractive to psychopaths because they know their limited ability to bear children. And even if it’s against their better judgment, ending up with a psychopath might be their only chance for love and family. 6. You have a trusting nature. 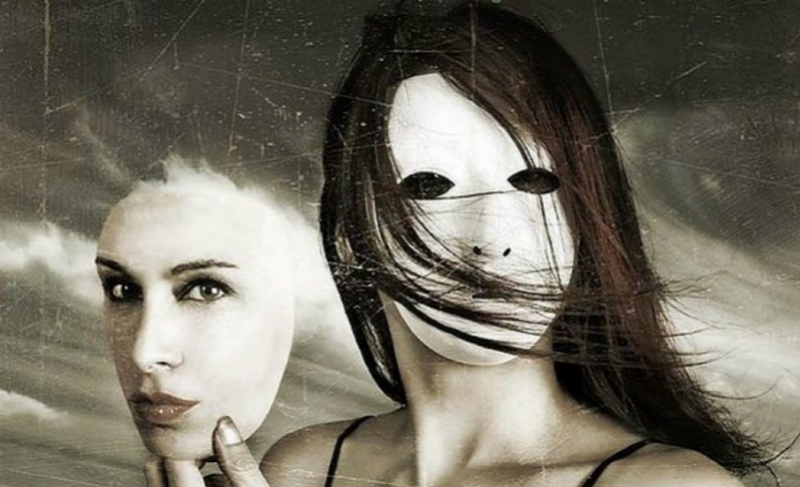 Being naive, compassionate, loyal, nurturing, tolerant, and wanting to please others might be good traits; however, these are the perfect traits that psychopaths are looking for. While being loyal is not a bad thing, giving commitment a higher priority than your feelings make up for a victim. If you stick for the sake of staying committed even when you’re breaking apart inside, you’re giving more power to your psychopath partner. Psychopaths care only for themselves and their needs. Your life is not worth spending with them. If you have all or some of the above traits, you have to be extra careful about the type of person you will fall for. Listen to your guts, set boundaries, and learn to say no. Above all, learn to be happy with all that you are. If you have this firm resolve, psychopaths will pick it up and no matter how attractive you could be, they will know you’re not the type of person they’re looking for.